People with inborn talent may be good at what they do--but only the mentally tough reach the highest plateaus in their field. And here's the best news of all: mental toughness is something anyone can learn. Director of mental training for the St. Louis Cardinals and a top-tier executive coach, Dr. Jason Selk knows everything there is to know about developing the mental toughness required for achieving any goal you set for yourself. In fact, the techniques he outlines in this book are the same ones he used to help the Cardinals defeat the heavily favored Detroit Tigers in the 2006 World Series. Inspired on the vision of legendary basketball coach John Wooden, Selk's program is as simple as it is effective. But that doesn't mean it's easy. You have to put effort into your drive to success; it's the only way to build up your mental "muscles." Selk provides hands-on daily exercises for breaking old, self-defeating patterns of behavior and replacing them with the can-do attitude and positive behavior that would make Coach Wooden proud. Executive Toughness takes you through the steps of making these critical behaviors part of your everyday routine. Practice your accountability, focus, and optimism, and you'll be on the path to attaining your goals; make them part of your mental "DNA," and there will be no turning back--ever. 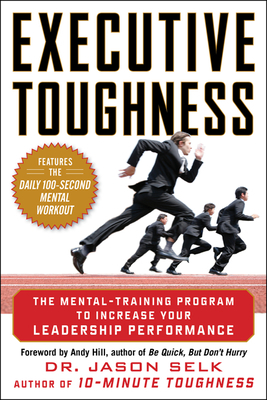 A complete regimen from a leading expert on developing the mindset for attaining goals, Executive Toughness is your workout for ultimate success in your career and in your life. Dr. Jason Selk is the bestselling author of 10-Minute Toughness, director of mental training for the St. Louis Cardinals, and an executive coach.